In an attempt to bring together all the features from Galaxy Apps and Galaxy Themes, Samsung Electronics has launched the Galaxy Store, a new platform for downloading apps and other content last month. Now it has detailed the features. For the uninitiated, the Galaxy Store brings together all the features from Galaxy Apps and Galaxy Themes that Galaxy users love, creating a whole new digital marketplace optimized for individual users. 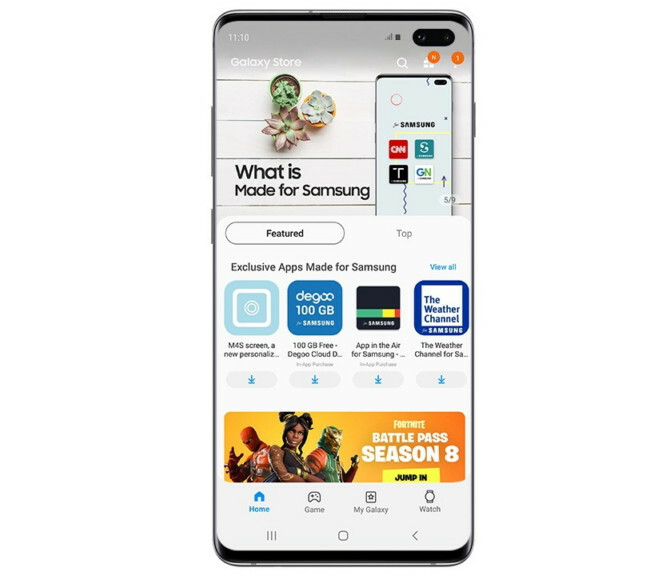 The Galaxy Store is exclusive for the Galaxy users allowing them to personalize the device with an array of apps and themes, ranging from Galaxy-exclusive content to partner apps that provide a diverse range of services. In this Store, users can buy purchase and select a variety of themes and fonts, new camera filters, photos with stickers and stamps, and new edge panel as well. Moreover, the Galaxy Watch and Gear users can also adjust their watch faces and download apps directly from the phone using the “Watch” tab in the Galaxy Store. Furthermore, the Galaxy Store has enhanced the recommendations feature, adding an AI-based analysis tool to the user-oriented UI. Moreover, there will be recommendations based on seasons, holidays and events throughout the year.